Back in 2012, organiser Wieland Stumpf staged the first-ever European tram driver championship (TRAM EM) to mark the 140-year anniversary celebrations of Dresden Transport. 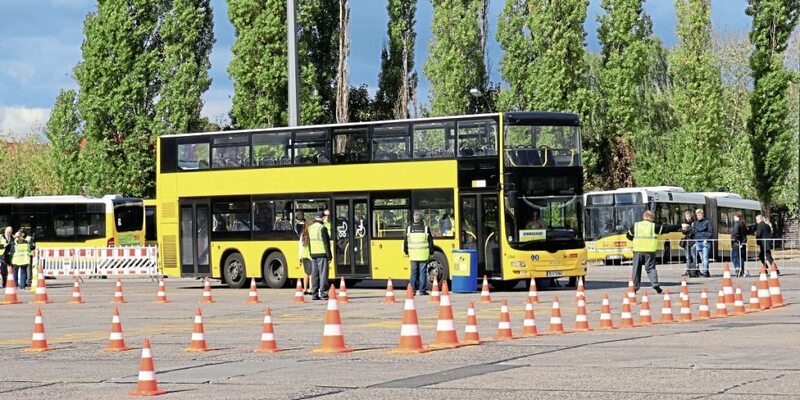 The concept proved so popular that it was subsequently staged annually in cities across Europe – and paved the way for a similar competition for bus drivers. The first-ever BUS EM (Europa Meisterschaft) took place last weekend at the Indira-Ghandi-Strasse depot in the east of Berlin. 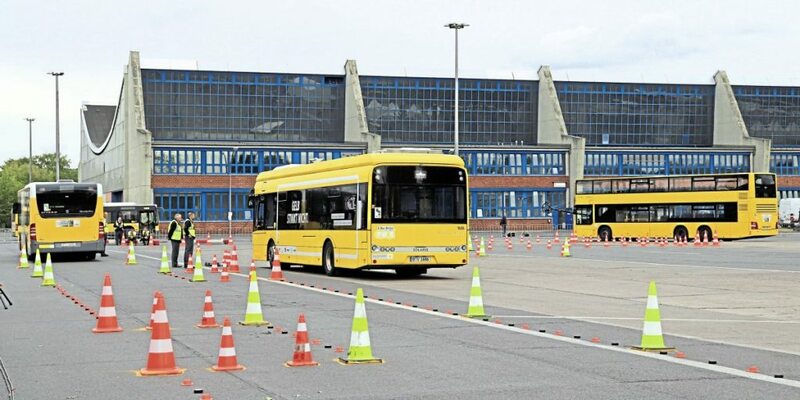 It was organised by Wieland’s company in conjunction with Berlin’s city transport company, BVG. 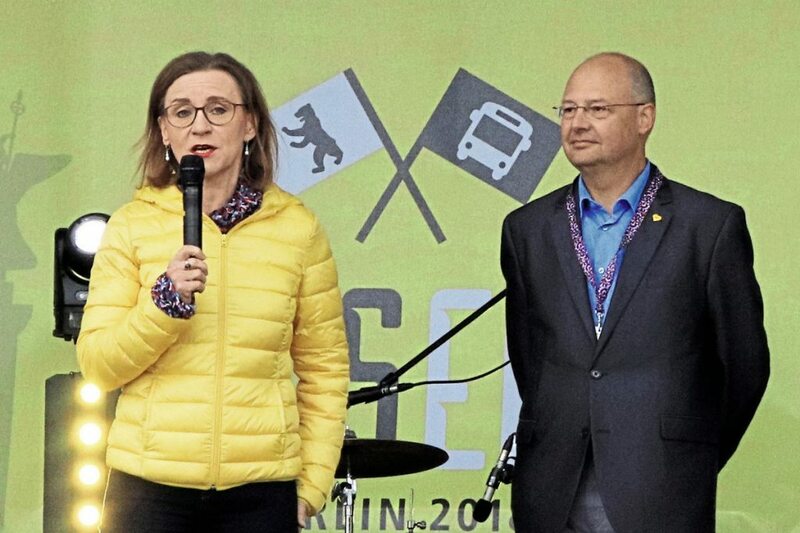 Welcoming competitors and guests, the head of BVG, Dr Sigrid Nikutta, described it as the largest exclusively bus depot in Europe and home to some 370 vehicles – a mixture of predominantly MAN double-deckers and articulated buses from Solaris, Scania and Mercedes-Benz. Twenty-one cities from 15 countries took part, each fielding one male and one female driver from the local transport company. Staged off public roads in two parallel competition bays, each team member completed an eight-stage course against the clock, changing vehicles twice in the process. The first two stages, along a very narrow winding lane, were driven in a BVG three-axle double-decker. 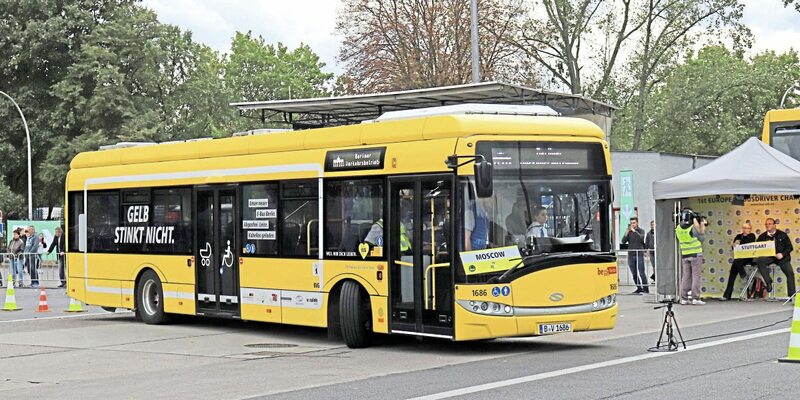 Five stages then followed in one of BVG’s six Solaris electric buses, including turning in a confined space and speed assessment without tacho (or engine noise!). 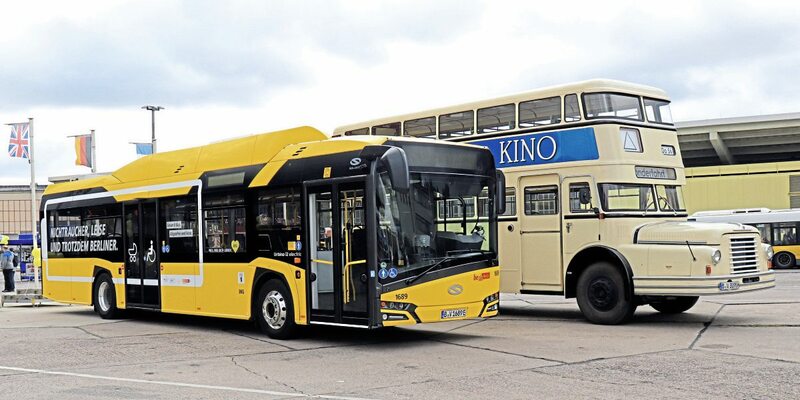 The second change brought on a standard BVG Citaro single-decker for the final stage, reversing along a narrow winding lane. 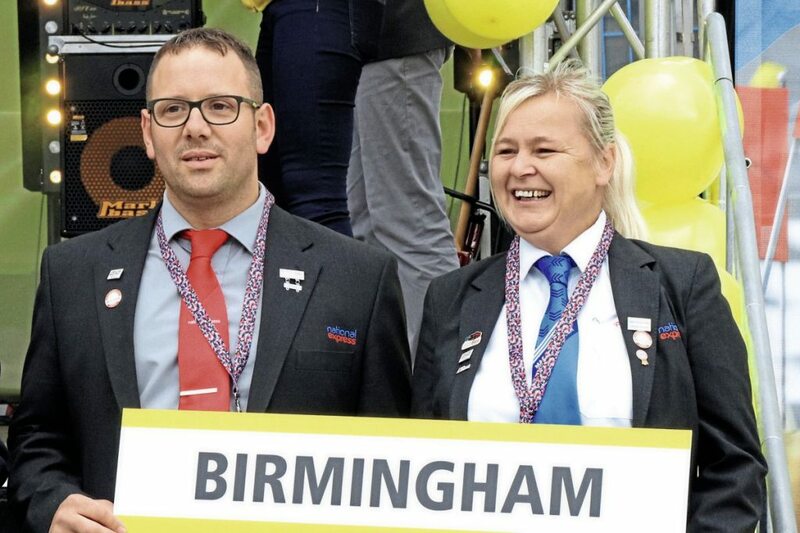 The UK was represented by the Birmingham team of National Express: Louise Hewins from Coventry garage and Liam Bishop from Birmingham Central garage, who were supported by Jaz Tak and Stuart Bradley from the company’s training team, along with interpreter Christian Retzlaff (who probably hadn’t expected to have to run fast between vehicles during the changeovers!). The Birmingham team faced the challenge of unfamiliar vehicles with driving positions on the opposite side, together with unfamiliar reversing procedures, but came in at a creditable 17th position overall. In the tradition of great sporting events, both drivers changed ties with fellow competitors after the awards ceremony. Alongside the competition, there was a full programme of entertainment for visitors, both on and off the stage where, in Olympic style, opening and closing parades were staged. 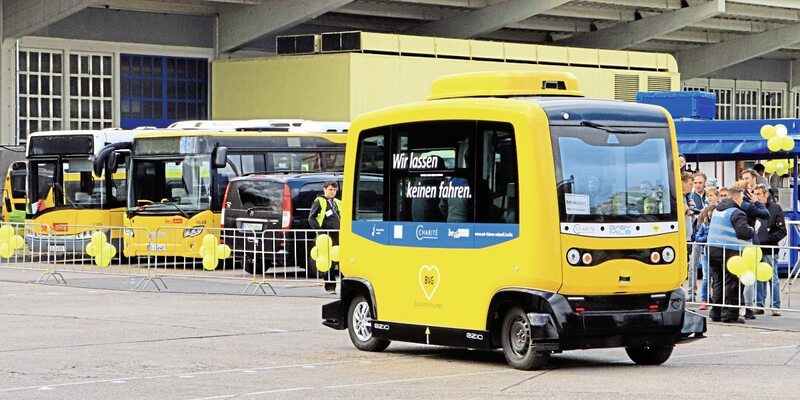 Visitors had the opportunity to view current and heritage BVG buses, ride in an autonomous Easy Mile vehicle, experience the bus wash and see the extensive workshop area. 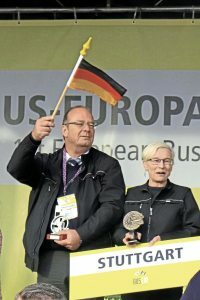 The event was broadcast live online at www.bus-em.eu with extensive running commentaries, interviews and a leader’s booth where the current leading team were on camera watching subsequent competitors trying to usurp their position. By mid-afternoon, the Stuttgart team were on the couch watching anxiously as the seconds ticked away on Moscow, the only team that could overtake them. The Russians came close but failed to take the lead. So Stuttgart were the winners, followed by Moscow, with Lodz in Poland third. Sebastian from Lodz was crowned top individual on the day. 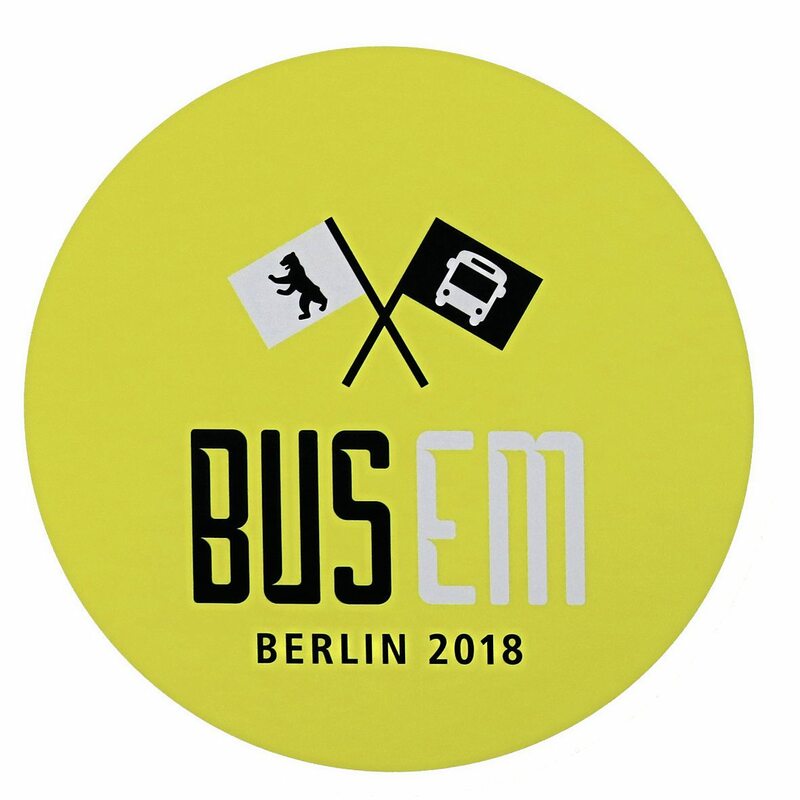 The BUS-EM website describes the event as connecting people through play, entertainment and information, as well as projecting public transport as modern and interesting. It also supports the exchange of experiences among drivers and managers and has a promotional impact both regionally and Europe-wide. This inaugural event delivered more than expected, according to the head of BVG buses, Torsten Mareck in his closing remarks, helping raise the profile of the bus driving profession. For the UK team, Jaz Tak saw it as a very worthwhile opportunity and looked forward to Birmingham competing again in the future. With the success of the 2018 event, a location is now being sought for the second one in 2019. Unlike certain other European contests, the right to stage does not go automatically to the winning team!